Call it the battle of the clean-car cargo ships. First Toyota retrofitted its Auriga Leader car transporter ship with a diesel hybrid powertrain, allowing some energy to be recaptured in a bank of nickel-metal-hydride batteries just like those used in its Prius and other hybrid cars. That ship got a fair amount of media attention for a category of vehicle--or vessel--that's largely ignored by most of the press. Out of sight, out of mind. In January, Nissan one-upped Japan's largest car company with the sleek, aerodynamic City of St. Petersburg, which will carry its new cars to buyers all over the world. Starting in 2013, those will include the zero-emissions 2011 Nissan Leaf battery electric hatchback, the world's first modern battery-electric car to go into mass production. Leafs will be transported from the assembly plant in Sunderland, U.K., to destinations in northern Europe and Russia. 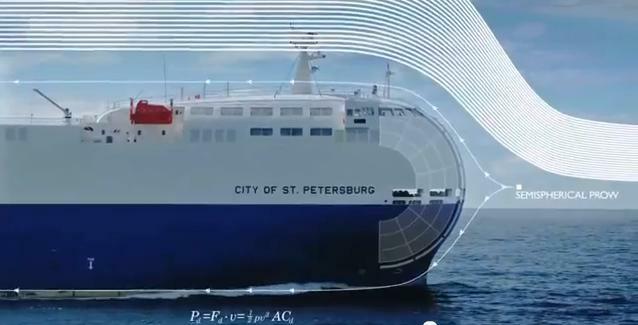 The City of St. Petersburg is up to 50 percent more aerodynamic than old-school cargo ships, and is expected to use up to 800 tons a year less fuel. That means it will emit 2500 tons less carbon dioxide annually. Cargo ships in general are a huge source of air pollution, with a single ship of the largest category emitting as much air pollution as roughly 50 million individual cars. Plus, it's just way, way cooler looking. 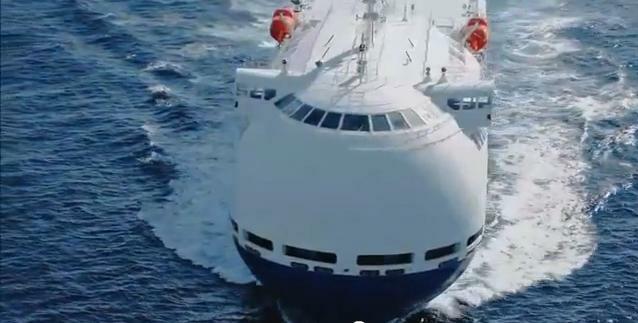 Check out the video below, newly released by Nissan USA, showing the ship in action.